It’s impossible to give a blanket answer because every child develops at a uniquely individual pace. (It’s also physicians – usually specialists – responsible for the actual diagnosis.) 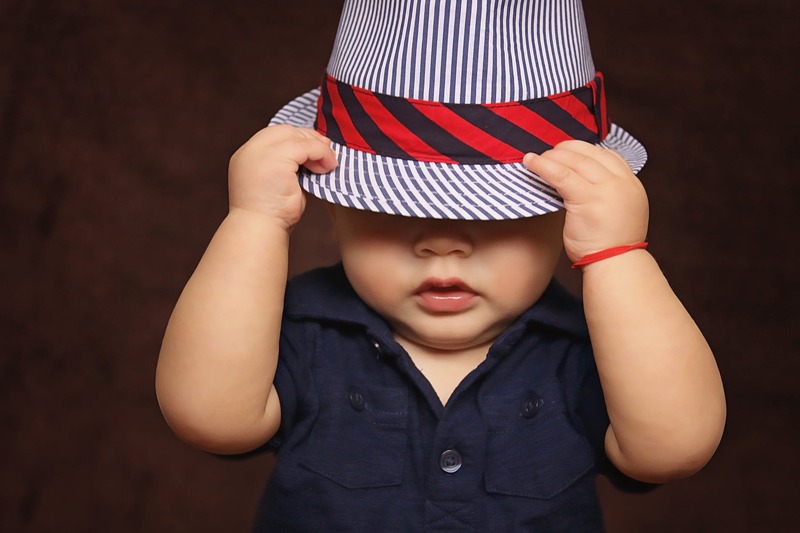 That said, a long-time speech-language pathologist will likely agree: If your child doesn’t respond to his name by the time they turn 1-year-old, it could indicate a developmental delay that requires action. You’ll want to alert your child’s primary care physician and discuss whether the concern warrants referrals for closer evaluation by specialists. Responding to one’s name is a critical building block of functional communication. This wouldn’t be just a single instance when he couldn’t tear his attention from a riveting show or “selective hearing” in a moment of intense fun. This would be an issue that is consistent and noticeable (at least by you). The average age at which this skill is consistent is at about 7-to-9-months. If a child doesn’t appear to have this skill down by the time they arrive for their 1-year well check-up, many pediatricians independently take note, either flagging for closer monitoring or just going ahead and referring the child to be screened for developmental delays and potentially autism. The latter course of action is especially true if other concerns exist (lack of or sudden regression in communication, inability or trouble making eye contact, not pointing to items or making much effort to request other than crying, repetitive behavior, etc.). Researchers at the U.C. Davis M.I.N.D. Institute and ASHA, have found a child’s failure to consistently respond to one’s name by their 1st birthday is often one of the most consistent early indicators of autism spectrum disorder and other developmental delays. This does NOT mean your child has autism – or any other condition. But it could. And if it does, trust us: You will not regret getting a jump on intense early intervention therapy (speech, occupational, ABA and possibly ABA), building a local community support network and navigating some of the bureaucracies. Our Fort Myers speech-language pathologists have witnessed firsthand what a huge difference this can make for a child’s long-term success. If autism is ruled out or isn’t clear early on, failure to respond to one’s name could also indicate a receptive language disorder, which involves the ability to understand language communicated by others. Receptive language trouble is sometimes a symptom of autism, but it might exist independently also. There are many types of receptive language disorders. One example would be receptive aphasia (also known as Wernicke’s) which is when a child (or person) with typical or even above-average intelligence has difficulty understanding language conceptually. Another possibility is mixed expressive-receptive language disorder, wherein children have trouble not only understanding spoken communication, but also in communicating with the right sentence structure grammar, recalling words, etc. It’s not that they cannot form the right speech sounds (which would be a phonological disorder); it is the inability to understand or use language effectively. But before you get to any of that, your doctor will first want to rule out a hearing impairment. If your child’s hearing is in the normal range, then you may begin the journey of numerous tests aimed to determine (to whatever extent a standardized test is able) your child’s developmental age vs. actual age, their speech and language skills, cognitive development and behaviors. Speech-Language Pathologist Advise: Don’t Panic. Develop a Plan. Some parents digesting all this for the first time are a bit relieved, because it means they’re closer to answers about questions that may have nagged them for months. Conversely, some feel overwhelmed and anxious. Some are skeptical and opt for a “wait-and-see” route. Early intervention, no matter what the condition, is where you see the best outcomes. Speech-language therapy, occupational therapy, ABA/behavior therapy – these aren’t quick fixes. They require the time commitment not just of the child, but the whole family. But research after research shows unequivocally: The sooner our therapists can start working with a child, the better (and often faster) the progress we tend to see. Just getting to the point of a diagnosis can take time. Some families report waiting up to a year for an autism diagnosis in Southwest Florida. Hopefully it won’t take that long, but it’s not unheard of because of the long list of sequential, intensive tests required – some by a few pediatric specialists in very high demand. Your health insurer might further limit your options. If you’re concerned about your child’s development at age 1 or 2 but wait to initiate testing, it could result in a more substantial setback that you might think. Conditions like autism have a tendency to snowball without early intervention treatment. The sooner you act, the more services you might get. If you live in Florida and your child is under 3 and deemed “at risk for developmental delays and disabilities,” he or she may be eligible for enrollment in Florida Early Steps , specializing in state-funded early intervention services. It’s free and there is no income requirement as long as your child meets the program’s criteria for developmental concerns. Many parents find this a critical link to navigating the system of testing (including the ADOS), doctors, therapists and in-home support. It’s only available until a child’s 3rd birthday, after which they’re referred to the Lee County School District. Local schools have some good exceptional student education (ESE) and Head Start programs, but the services and support isn’t typically as intensive as Early Start. An early diagnosis doesn’t mean your child will be “stuck” with it. When children are so young, doctors too like to “wait and see.” They know things can change. A child diagnosed at 18 months may not meet that same criteria by the time they reach 5 (sometimes precisely BECAUSE of the progress they’ve made with intensive early intervention therapy). Naming the condition with a diagnosis opens the bureaucratic doors to therapy and other services. Our pediatric speech-language pathologists are believers in therapy because it really does work! It may take years, but it’s not necessarily indefinite for every child. FOCUS patients who reach all their developmental goals and milestones: They graduate! Cap, gown and all. A child who doesn’t respond to their name when they walk in our door for the first time could very well be walking out a few years later, laughing, smiling, chattering, making eye contact and on their way to a mainstream (or gifted!) education. No matter what a child’s challenges when they first come to FOCUS, we NEVER discount their potential or set limits on what they can achieve. Instead, we’re wholly dedicated to helping them reach their full potential. FOCUS offers pediatric speech therapy in Fort Myers and throughout Southwest Florida. Call (239) 313.5049 or Contact Us online.